A Ganesh Nadar visits the Peace Pagoda of the World at Vaishali in Bihar and gets spellbound by the message of peace and tranquility. In Vaishali, the holy land of Buddha in Bihar, life pauses for a while as one is immersed into spirituality and calmness. In this ancient city, formerly the prosperous capital of Licchavi, Buddha preached his last sermon in 483 BC. 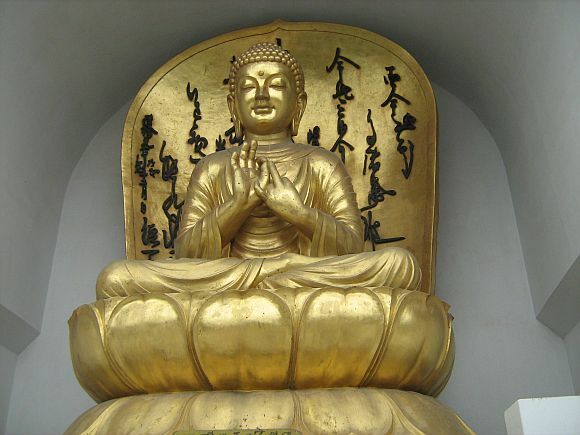 In 1958, archeologist A S Altekar unearthed an urn with some sacred ash and bones of Buddha from Vaishali, and ever since the holy relics have been kept at the Patna museum -- a fact that is resented by the people of this ancient city who think it should be with them. 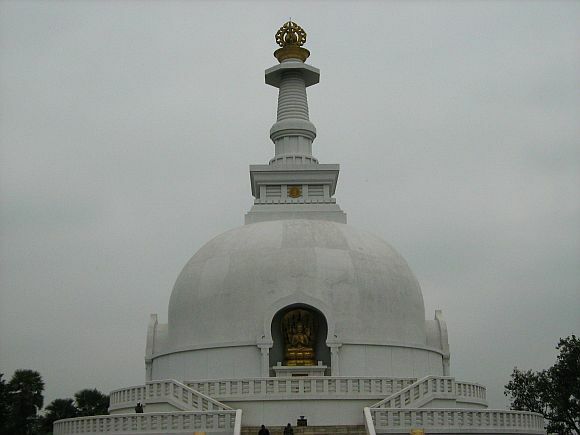 However, the Japanese have built a majestic temple in Vaishali for Buddha, which is called the Peace Pagoda of the World. 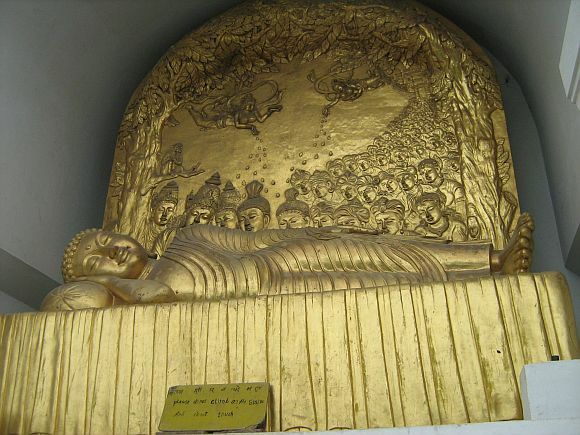 It is a gigantic structure with Buddha in various poses -- at birth, giving a sermon, sleeping and meditating. The path leading to this shrine has monasteries of Vietnam, Thailand and Sri Lanka. The temple has been made by a Japanese society for peace, which was founded after the horrors of the Hiroshima and Nagasaki nuclear bombing that marked the end of the Second World War and killed nearly 2,50,000 people. The beautiful shrine, which has been constructed with donations from both India and Japan, is a must see for those interested in Buddhism and history. 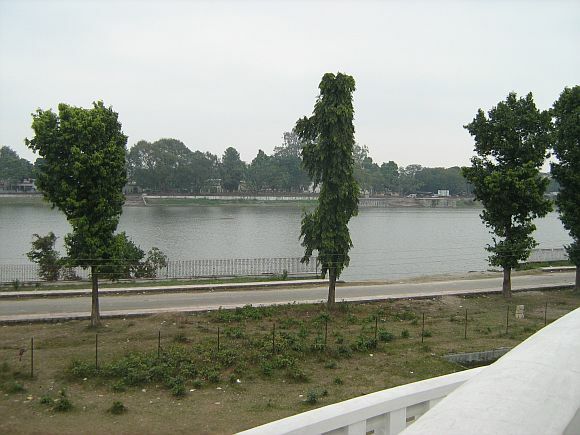 The holy shrine is next to a huge lake that is said to be built during King Asoka's reign (304-232 BC). Stunned by the brutality of violence, Asoka the Great embraced Buddhism after the Kalinga War, and was one of the greatest patrons of the religion. 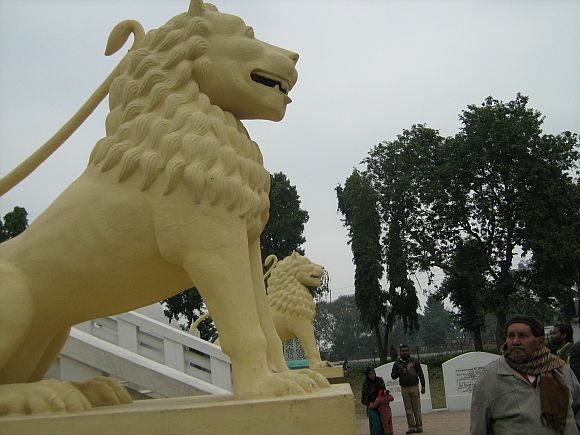 Vaishali, to this day, attracts huge influx of tourists, both from India and abroad. On the new year's day, locals said around 2 lakh people visited this shrine. Is Bihar module behind IM's resurgence?